What Does 802.11a Wi-Fi Mean? What Is the 802.11a Standard? 802.11a is one of the first 802.11 Wi-Fi communication standards created in the IEEE 802.11 standards family. 802.11a is often mentioned in relation to other standards like 802.11a, 802.11b/g/n, and 802.11ac. 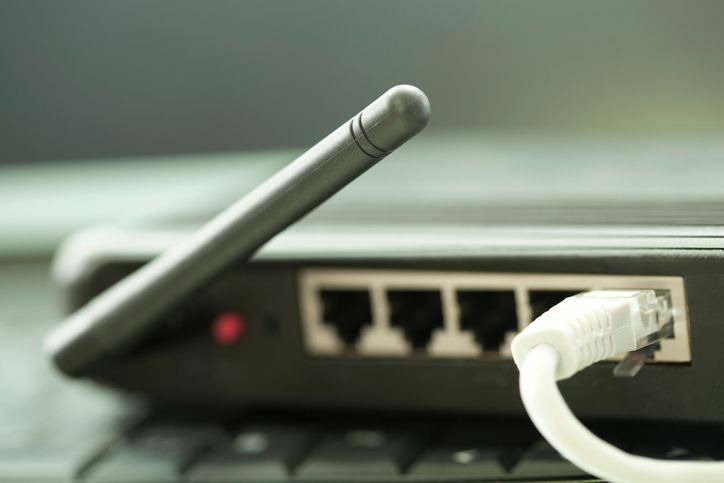 Knowing that they're different is especially useful when buying a new router or connecting new devices to a really old network that might not support the newer tech. 802.11a wireless technology should not be confused with 802.11ac, a much newer and more advanced standard. The 802.11a specification was ratified in 1999. At that time, the only other Wi-Fi technology being readied for the market was 802.11b. The original 802.11 did not gain widespread deployment due to its excessively slow speed. 802.11a and these other standards were incompatible, meaning that 802.11a devices couldn't communicate with the other kinds, and vice versa. An 802.11a Wi-Fi network supports a maximum theoretical bandwidth of 54 Mbps, substantially better than the 11 Mbps of 802.11b and on par with what 802.11g would start to offer a few years later. The performance of 802.11a made it an attractive technology, but achieving that level of performance required using relatively more expensive hardware. 802.11a gained some adoption in corporate network environments where cost was less of an issue. Meanwhile, 802.11b and early home networking exploded in popularity during the same time period. 802.11b and then 802.11g (802.11b/g) networks dominated the industry within a few years. Some manufacturers built devices with both A and G radios integrated so that they could support either standard on so-called a/b/g networks, although these were less common as relatively few A client devices existed. Eventually, 802.11a Wi-Fi phased out of the market in favor of newer wireless standards. U.S. government regulators in the 1980s opened three specific wireless frequency bands for public use - 900 MHz (0.9 GHz), 2.4 GHz, and 5.8 GHz (sometimes called 5 GHz). 900 MHz proved too low of frequency to be useful for data networking, although cordless phones used it widely. 802.11a transmits wireless spread spectrum radio signals in the 5.8 GHz frequency range. This band was regulated in the U.S. and many countries for a long time, meaning that 802.11a Wi-Fi networks did not have to contend with signal interference from other kinds of transmitting devices. 802.11b networks utilized frequencies in the often unregulated 2.4 GHz range and were much more susceptible to radio interference from other devices. Though it helps improve network performance and reduce interference, the signal range of 802.11a was limited by the use of 5 GHz frequencies. An 802.11a access point transmitter may cover less than one-fourth the area of a comparable 802.11b/g unit. Brick walls and other obstructions affect 802.11a wireless networks to a greater degree than they do comparable 802.11b/g networks.